What makes the E46 M3 unique? The E46 M3 coupe and E46 M3 convertible are the high-performance versions of the standard E46 3 Series coupe and convertible. Developed by BMW M GmbH, they feature the 3.2-liter S54 inline-6 powerplant, as well as many specific chassis and cosmetic enhancements. Where was the E46 M3 first introduced? The E46 M3 was first shown to the public as a Design Study concept at the 1999 Frankfurt Motor Show. The final production version was then unveiled the following March at the 2000 Geneva Motor Show. Where was the E46 M3 produced? The E46 M3 was produced on the normal 3 Series production line at the Regensburg factory near Munich. 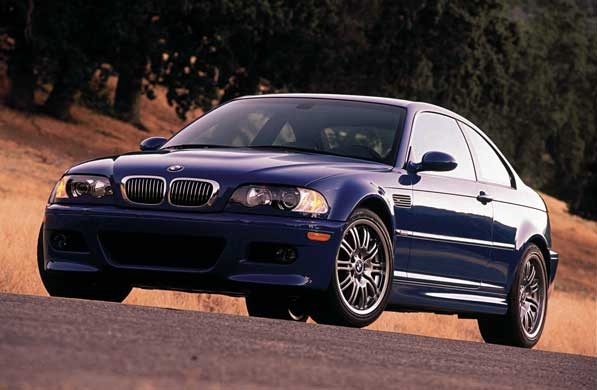 Did BMW M ever consider a third body style for the E46 M3? 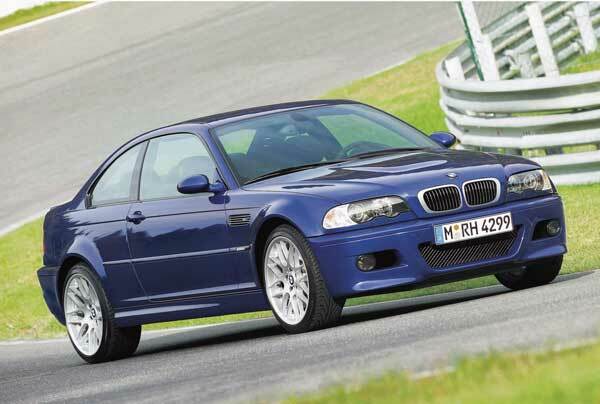 Though BMW M offered the E46 M3 only in coupe and convertible body styles, an E46 M3 Touring was strongly considered at one point. 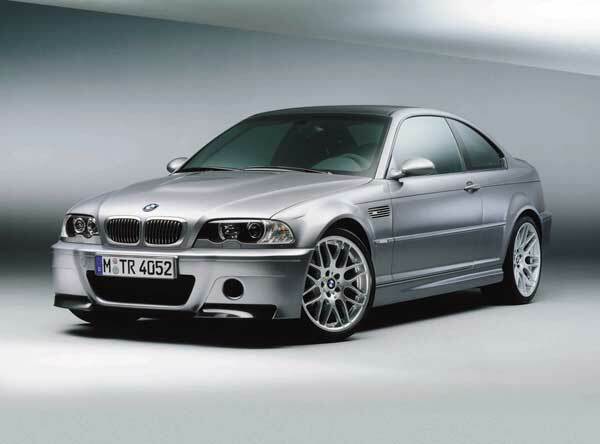 Obviously intended to compete directly with the B5 Audi RS4 (which was produced exclusively as a wagon), the E46 M3 Touring was never ultimately approved for production, although a fully finished concept car was built (but never officially shown to the public). How many official versions of the E46 M3 were produced? 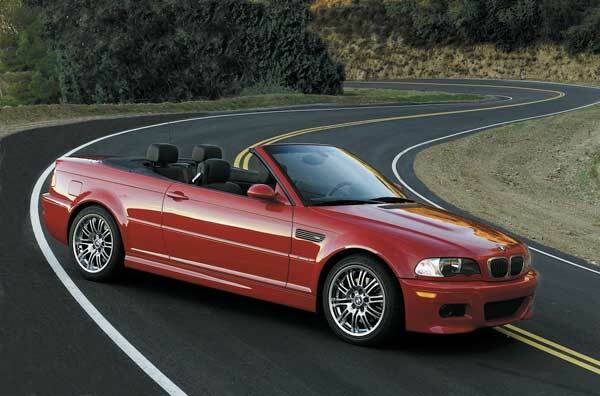 BMW produced eight official versions of the E46 M3: The standard M3 coupe and M3 convertible were offered in both ECE-spec (left-hand drive and right-hand drive) and North American-spec forms. In addition, the M3 CSL coupe was produced only to ECE (European) specification in both left-hand drive and right-hand drive configurations. How many examples of the E46 M3 were produced? 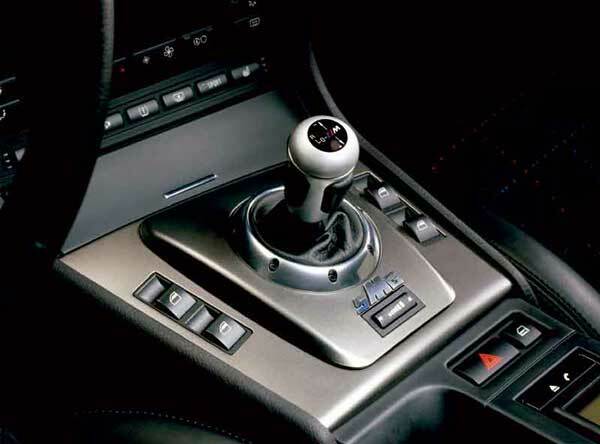 How many examples of the E46 M3 were produced with the optional Sequential Manual Gearbox II (SMG II)? What changes were made during the production of the E46 M3? What is the E46 M3 Competition Package? What is the E46 M3 CS? The right-hand drive version of the E46 M3 coupe with the Competition Package sold in the United Kingdom was officially given the "M3 CS" designation. However, this model does not contain "M3 CS" badging of any kind, nor does it differ from its left-hand drive "ZCP" counterpart in any significant way. What makes the S54 powerplant unique? 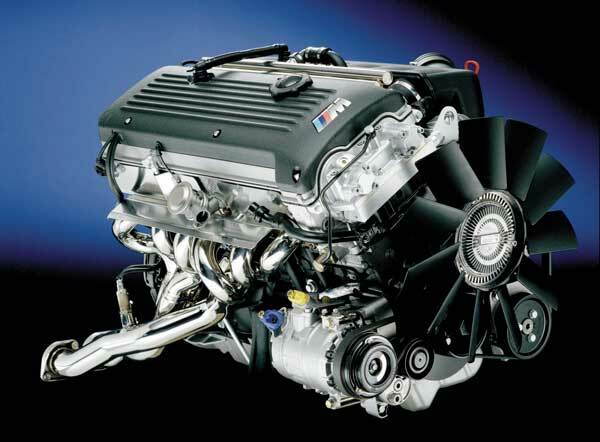 The S54 engine in the E46 M3 is rated at 343 hp (DIN) or 333 hp (SAE) at 7,900 rpm and 262 lb/ft of torque at 4,900 rpm. What type of transmission is used in the E46 M3? The E46 M3 utilizes a Getrag Type D six-speed manual gearbox with the following ratios: 4.23 (1), 2.53 (2), 1.67 (3), 1.23 (4), 1.00 (5), 0.83 (6). This is mated to a 3.62:1 final drive with M Variable Differential Lock. Beginning with 09/01 production, the E46 M3 was also offered with the second-generation Sequential M Gearbox (SMG II). Using the unaltered internal gears and ratios of the Getrag Type D manual gearbox, SMG II provides automatic operation of the clutch and engagement of each gear via an electrohydraulic system operated by Drivelogic, the electronic gearbox software. SMG II offers 11 driver-adjustable programs, six in "sequential" (driver-operated) mode and five in "automated" (computer-controlled) mode. 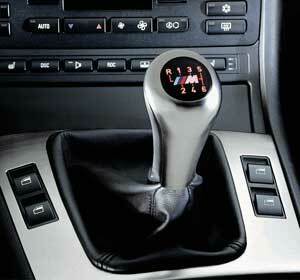 In addition, there is also a Launch Control function that provides optimized shifting times for maximum acceleration. Does the E46 M3 feature electronic stability control? The E46 M3 is equipped with a special version of Dynamic Stability Control (DSC) developed by Teves specifically for the E46 M3. It can reduce power and/or brake each wheel individually to help maintain traction and control oversteer. The DSC can also be disabled completely via a dash-mounted switch. In addition, the M3 CSL and the M3 ZCP/CS models are further equipped with M Track Mode, a switchable setting that allows for some oversteer and wheelspin by raising the threshold at which the DSC intervenes. The M Differential Lock, fitted as standard equipment to every E46 M3, is an advanced version of the traditional limited slip differnetial. Though still entirely mechanical in operation, the M Differential Lock is activated when there is a difference in rotational speed between the two rear wheels. This difference pressurizes a viscous silicon fluid, which then operates a multi-disc clutch that directs more power to the wheel with the greatest traction. How is the North American version of the E46 M3 mechanically different to the European-spec model? Unlike the E36 M3, which was equipped with a unique engine configuration for North America, all E46 M3s sold worldwide are powered by the same S54 powerplant and only differ mechanically in minor ways. The most significant difference is that the catalysts are located slightly closer to the engine block on North American-spec models, thus increasing their ability to quickly heat up and therefore minimize cold-start emissions. This accounts for the slight reduction in peak horsepower (approximately 5 hp when compared under comparable ratings standards). How does the suspension of the E46 M3 differ from that of the regular E46 3 Series? What size brakes are used by the E46 M3? 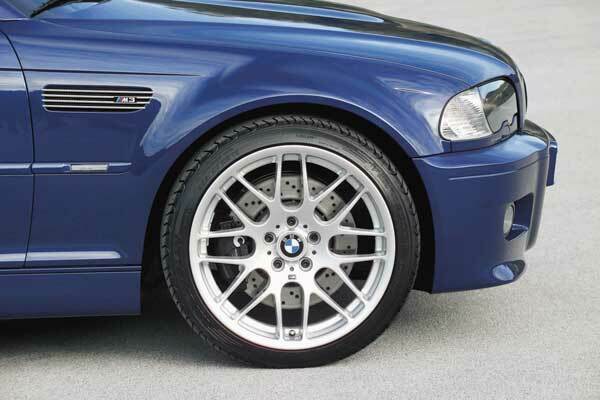 The standard E46 M3 is equipped with four-wheel vented discs measuring 12.8-inches in front and 12.9-inches in the rear. With the exception of U.S.-spec M3 models, the brakes also feature cross-drilled rotors and a two-piece "compound" design whereby the aluminum hat is connected to the outer portion of the rotor via steel pins, which greatly reduces rotor deformation under havy braking conditions. 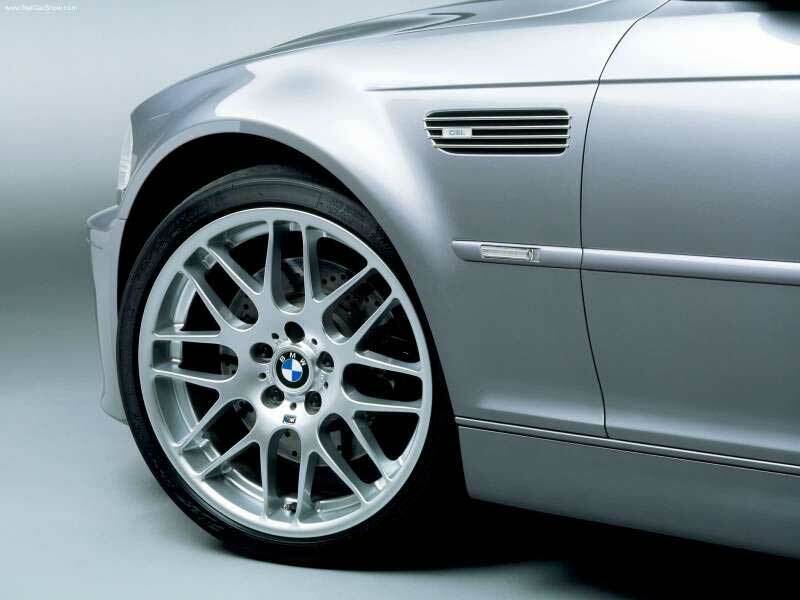 All M3 CSL and M3 ZCP/CS models sold worldwide are fitted with larger 13.7-inch front brake rotors that are also cross-drilled and incorporate the two-piece compound construction. The rear rotors are the standard 12.9-inch cross-drilled items. 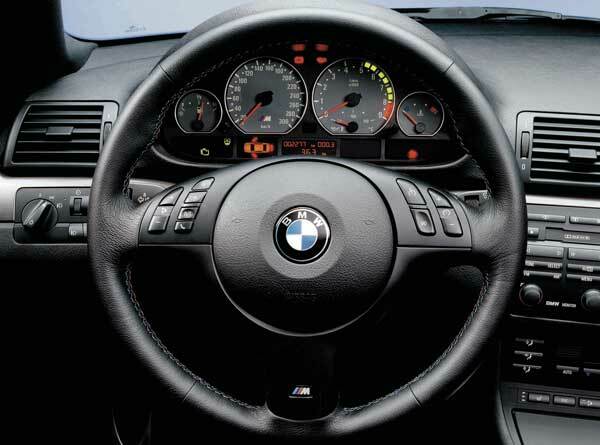 How does the steering system of the E46 M3 differ from that of the regular E46 3 Series? Like all E46 3 Series, the E46 M3 utilizes a rack-and-pinion steering design with engine-speed-sensitive variable power assist. However, the system has been modified with special knuckles and a slower overall ratio of 15.4:1 (versus 13.7:1 in the standard E46 3 Series). A slightly quicker 14.5:1 steering rack is used in the M3 CSL and M3 ZCP/CS models. What are the factory wheel and tire sizes for the E46 M3? 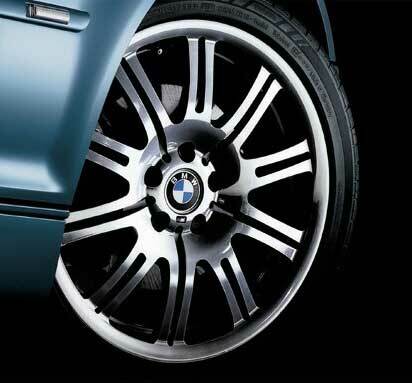 The standard E46 M3 wheel is an 18-inch M Double Spoke II cast-alloy design with a Satin Chrome finish. These measure 8x18-inches in the front and 9x18-inches in the rear, with 225/45ZR18 and 255/40ZR18 tires (respectively). Forged 19-inch M Double Spoke II wheels (also in a Satin Chrome finish) were offered as an option in most markets. These measure 8x19-inch in front and 9.5x19-inch in the rear, with 225/40ZR19 and 255/35ZR19 tires (respectively). 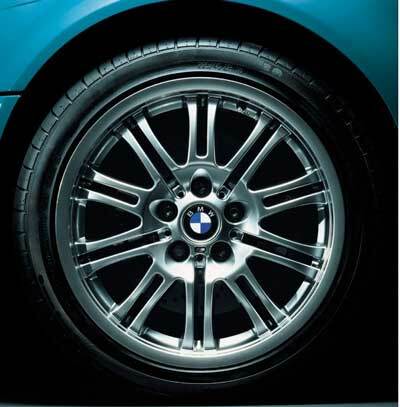 A cross-spoke cast-alloy wheel (in identical 8x19-inch/9.5x19-inch sizes) was fitted to M3 ZCP and M3 CS models. 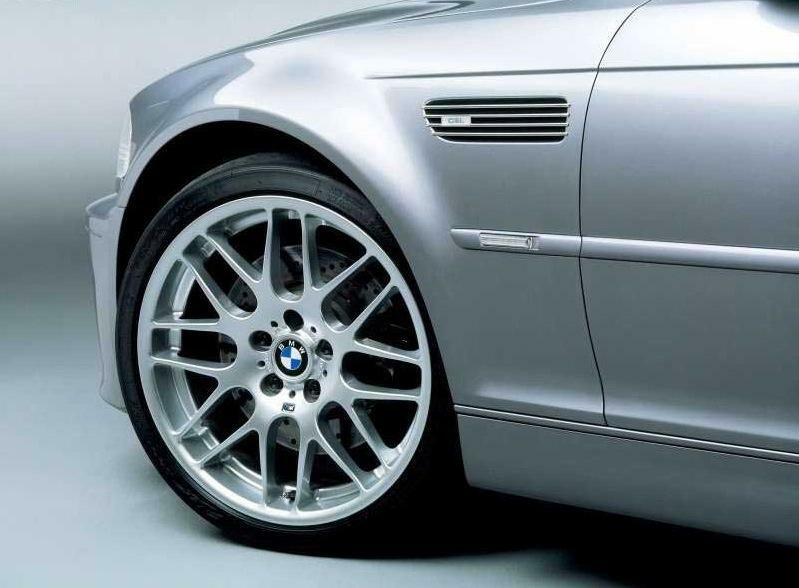 Finally, the M3 CSL was offered with either the regular 19-inch forged M Double Spoke II wheel or a unique cross-spoke design (similar but not identical to that of the M3 ZCP and M3 CS), measuring 8.5x19-inches in front and 9.5x19-inches in the back. These were always paired to track-ready Michelin Pilot Sport Cup tires, sized 235/35ZR19 (front) and 265/30ZR19 (rear). How does the exterior of the E46 M3 differ cosmetically from that of the regular E46 3 Series? Though not quite as radical as the original E30 M3, the exterior of the E46 M3 is significantly altered compared to the standard E46 coupe and convertible. Both the front and rear fenders are wider by nearly one inch. 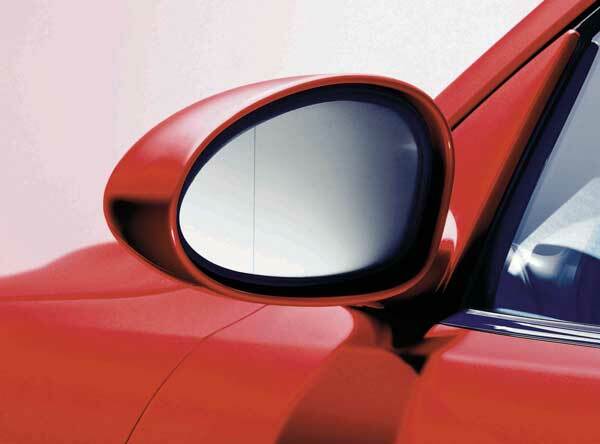 Furthermore, the front fenders incorporate unique side grilles that recall those fitted to the E9 coupes of the late 1960s/early 1970s.The side moldings are also unique to the M3 and integrate with the side-marker turn signals. In addition, the aluminum hood features a raised "power dome" in the center and incorporates wider front "kidney" grilles. Further differentiators include more agressive front fascia and rear valance (the latter designed to accomodate the quad exhaust tips), plus aerodynamic rear-view mirror housings. 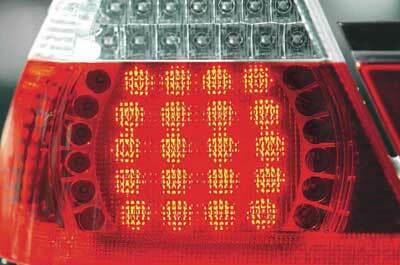 All E46 M3s are fitted with clear turn signal lenses all around. 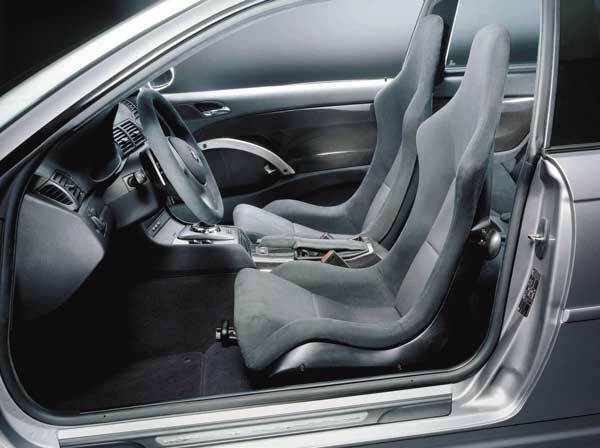 How does the interior of the E46 M3 differ from that of the regular E46 3 Series? 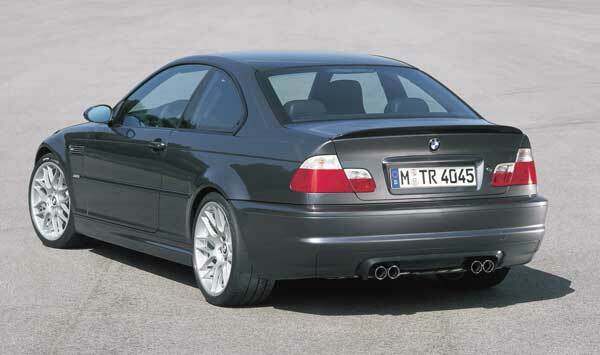 Did BMW M produce any special versions of the E46 M3? 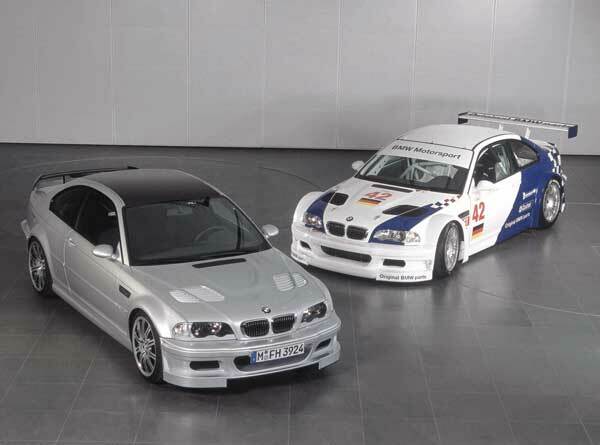 In addition, two limited editions of the standard E46 M3 coupe were produced: The "30 Years of BMW M" edition was offered exclusively in the German market during 2002 and celebrated the 30th anniversary of the creation of BMW Motorsport (later renamed BMW M), while the Silverstone Edition was produced specifically for the UK market in 2004. 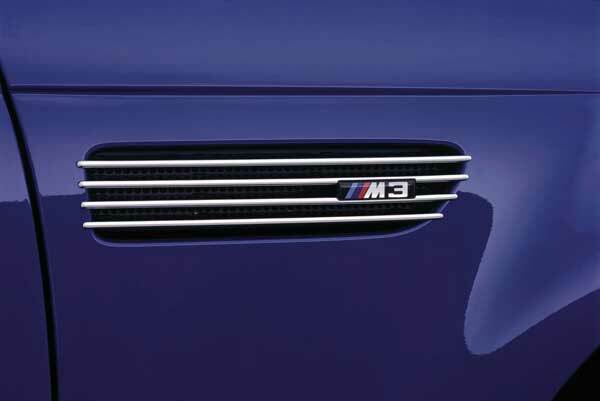 Both editions featured special cosmetic enhancements from BMW Individual but remained mechanically unaltered from the regular M3. What is the E46 M3 GTR? The E46 M3 GTR is a special competition-based version of E46 M3 that was designed to compete in the American Le Mans Series. Changes to the ALMS regulations ultimately rendered the model ineligible for competition, though not before a small number of street-legal iterations were produced in late 2001 and early 2002 in order to satisfy the original ALMS rules (which stated that an equivalent street version had to be offered to the public on at least two continents within 12 months). It is likely that only three examples of the E46 M3 GTR street version were ever produced, all in Titanium Silver metallic (354). 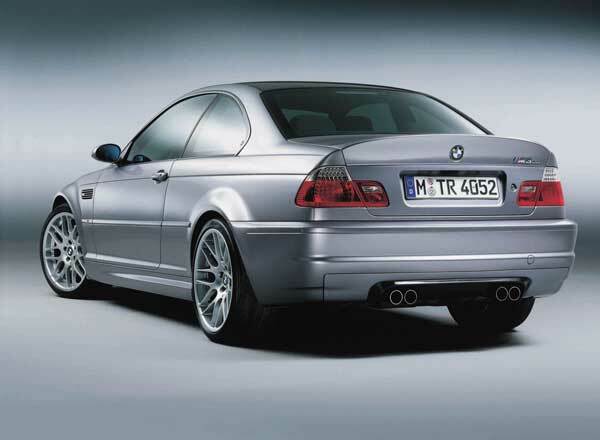 Each was converted from a standard E46 M3 production model (and thus were included within the standard E46 M3 VIN sequence) and priced at 250,000 Euros. However, all examples were subsequently returned to BMW and are now part of BMW M's private collection. Essentially a thinly-veiled race car, the road-going E46 M3 GTR differs greatly from the standard production E46 M3. Instead of the usual 3.2-liter S54 inline-six, the M3 GTR is powered by a compact 90-degree V8 with aluminum block and heads. Displacing 3,997-cc, the dry-sump motor produces 380 hp (DIN) at 7,000 rpm and 288 lb-ft of torque at 4,500 rpm in road trim. 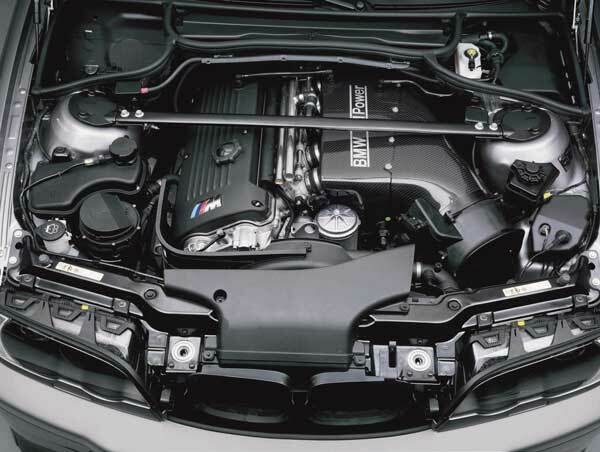 Power is transferred via the Getrag six-speed manual gearbox and M Differential Lock from the regular E46 M3. The chassis benefits from a wider track and more aggressive spring/shock rates, though the steering rack, 12.8-inch cross-drilled vented disc brakes with compound calipers and forged 19-inch M Double Spoke II alloy wheels carry over unaltered from the regular E46 M3. BMW claims the 2,976-pound (dry) E46 M3 GTR can accelerate from rest to 62 mph in 4.7 seconds. The bodywork of the M3 GTR features a much more aggressive front fascia and rear valance, both made of lightweight carbon fiber-reinforced plastic (GFP). 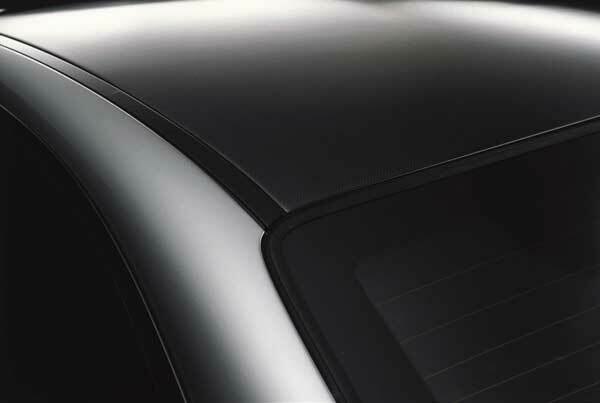 The entire roof, large fixed rear spoiler and smaller rear spoiler lip are also constructed of GFP. Finally the aluminum hood contains two louvered cooling ducts. 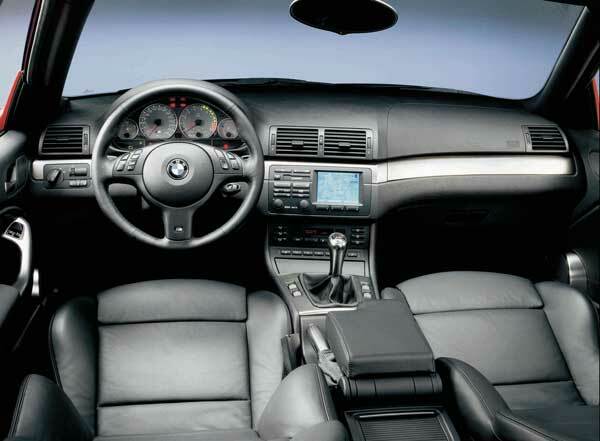 The interior retains the standard E46 M3 dashboard, instruments and steering wheel (without the audio system or cruise control switches), though the rear seats have been deleted and heavily-bolstered manual front racing seats covered in black cloth or leather replace the heavier M3 items There are also special "cube-effect" interior trim and unique door sill plates with the "M3 GTR" insignia. What is an E46 M3 "30 Years of BMW M" edition? In order to mark the 30th anniversary of the creation of BMW Motorsport (later renamed BMW M), a limited edition of the E46 M3 coupe was offered exclusively in Germany during the Spring of 2002. Though mechanically unaltered from the standard M3, this edition was available in one of three unique color schemes: Imola Red II paint with Bi-Color Imola Red + Black extended Nappa leather upholstery, Estoril Blue metallic paint with Bi-Color Estoril Blue + Black extended Nappa leather upholstery or Velvet Blue metallic paint with Bi-Color Ink Blue + Black extended Nappa leather upholstery. 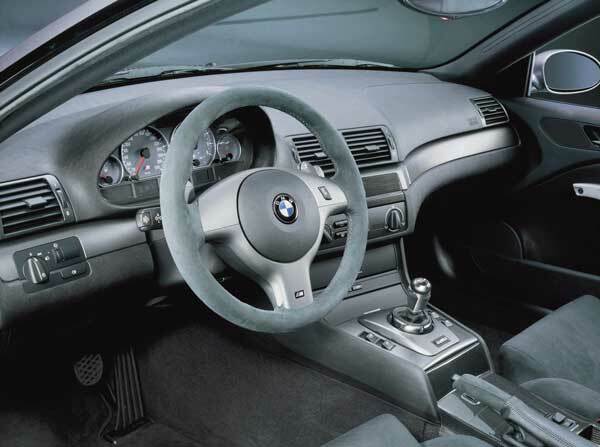 In addition, each of the 30 examples (10 in each color scheme) was equipped with BMW Individual Anthracite Birch wood interior trim and many items from the regular M3 options list including the SMG II transmission, power moonroof, bi-Xenon headlights, heated front seats, Park Distance Control, Harman/Kardon audio system and BMW Individual high-gloss Shadowline exterior trim. What is an E46 M3 "Silverstone Edition"? A limited edition of 50 E46 M3 coupes (plus one pilot car) with BMW Individual paint and interior trim were quietly produced for the UK market during late 2004. Available with either the six-speed manual (30 produced) or six-speed SMG II (20 produced) transmissions, they all received Silverstone metallic (425) paintwork paired to a Dark Estoril Blue extended Nappa leather interior. The interior was additionally equipped with silver Aluminum Cube trim and black floor mats with Dark Estoril Blue leather edges. 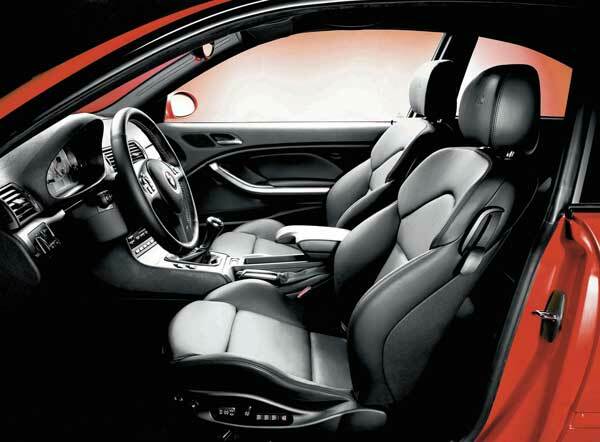 A generous amount of regular series options were also included, such as the Harmon/Kardon audio system, satellite navigation with TV function and 19-inch forged M Double Spoke alloy wheels. The following chart lists all regularly available paint colors for the E46 M3. 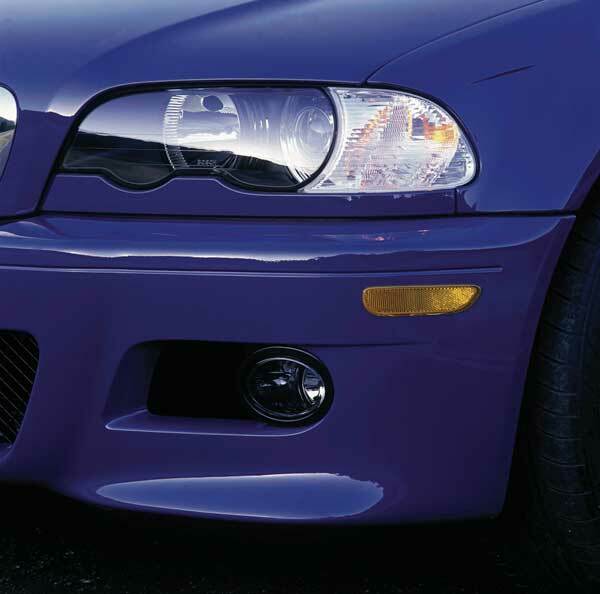 The following chart lists all regularly available upholstery colors for the E46 M3. The following chart lists all regularly available interior trim types for the E46 M3.